Bear in mind that I am writing here about two cars with eight years of age difference between them. The Grand Cherokee surfaced in 2011 (true, it had its fair share of redesigns up to this point), while the 2020 Ford Explorer is all-new. Like completely new. And yet, I can clearly see some obvious links between the two. Both of them have thin front lights positioned at the highest point up front. Between the lights sits a dominant, signature grille whose upper line fits in perfectly with the upper end of the front lights. The fog lights have basically the same position on both SUVs, and the lower central intake (with all the tech gizmos) has the same basic shape. Honestly, I did not expect to notice so many basic design similarities between the two vehicles, but they are obvious. The similarities between the two actually vanish as we move to the sides. 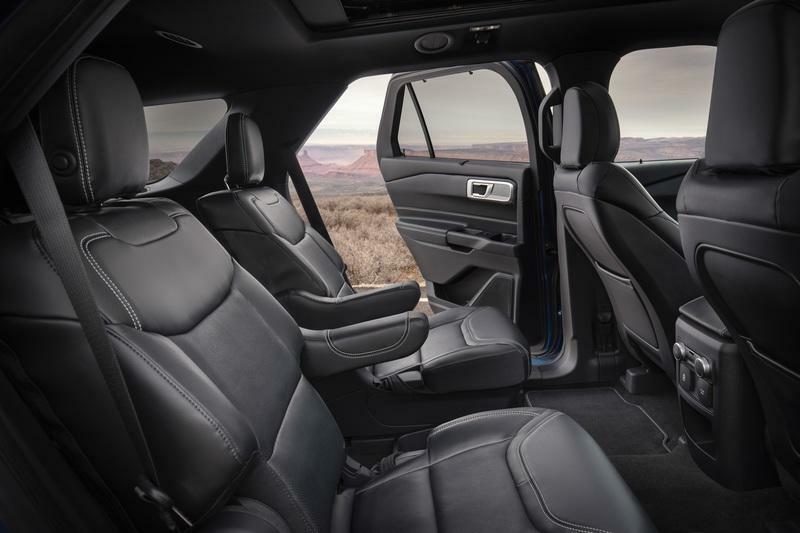 Despite the same SUV concept, the Explorer is a seven-seater - it’s longer, with a longer wheelbase. This translates to a somewhat different exterior stature. 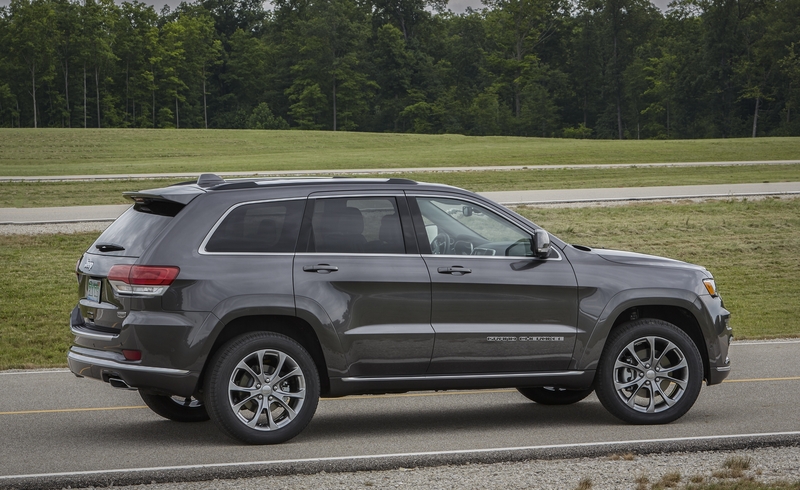 Personally, I do find the Grand Cherokee a bit more symmetrical and better composed at the sides. All similarities stop at the rear end where the 2020 Ford Explorer has those strange rear lights and a completely different arrangement. Interestingly enough, the side metal piece between the rear door windows and rear windows on the new Explorer seem to be a nice throwback to all the Explorers of before. Only, this piece is even more angles and stylized for the latest generation. I have to note that you can find much the same styling cue on the Mercedes-Benz GLE. Nevertheless, it is a cool design for sure. 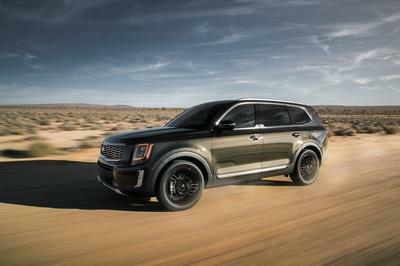 As far as personalization options go, each trim available for the Explorer offers slightly different exterior touches. 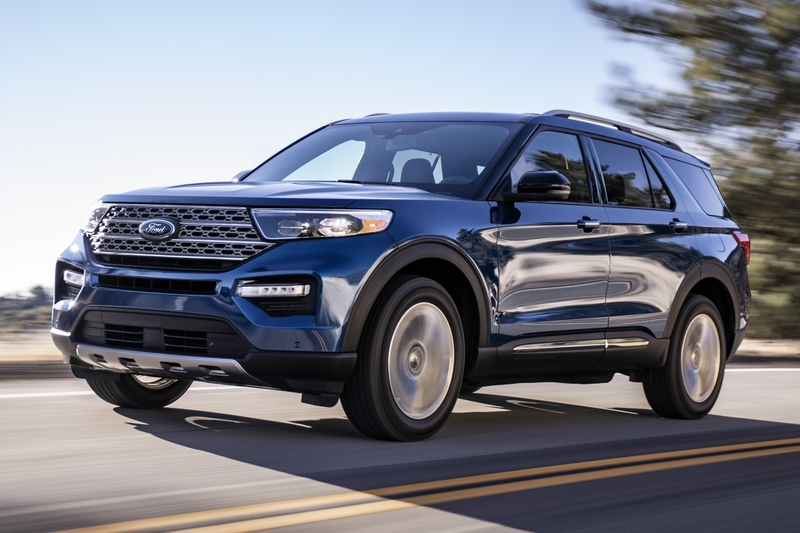 Apart from the newcomers like the hybrid and the ST, Ford offers the 2020 Explorer in base, XLT, Limited, or Platinum trim level. The smallest of the bunch comes with 18-inch wheels while going all in with the ST would unlock the 21-inch wheel option. That’s positively huge. 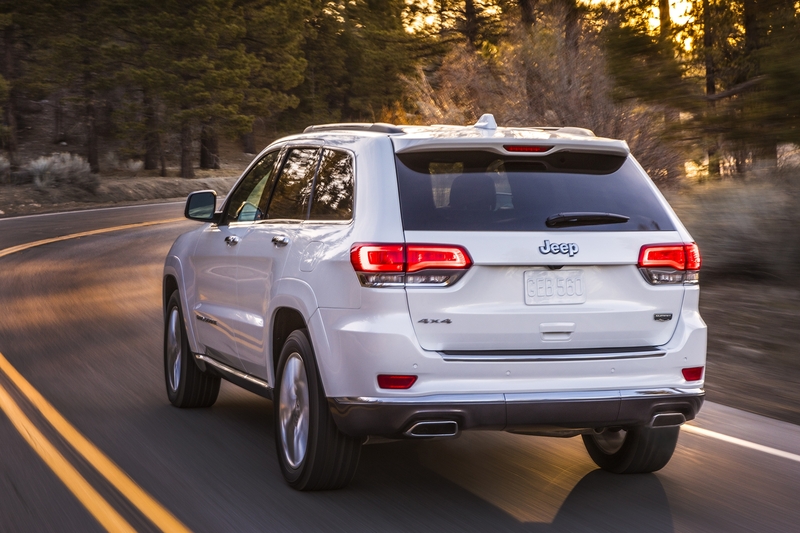 As far as the Grand Cherokee goes, you have to acknowledge that this model is close to the end of its market lifespan. 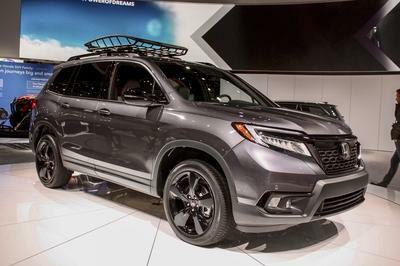 The entry-level version comes with 17-inch wheels, but at the far end with all the incredible sport-centered versions you will be able to opt for 21-inch wheels as well. With performance tires at that. 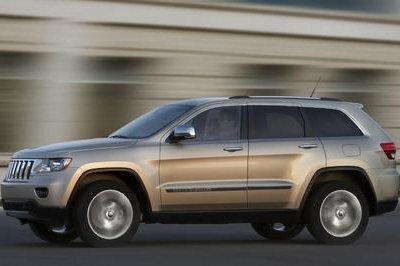 The cabin of the Jeep Grand Cherokee isn’t as robust or as spartan as some may imagine considering that it comes from Jeep, a company specialized in off-roaders. I can safely say that even after all these years, it resisted aging rather well. On the other hand, the cabin of the new 2020 Ford Explorer has some super modern touches. First of all, the centrally positioned portrait screen in the middle of the central console hints at modernity. 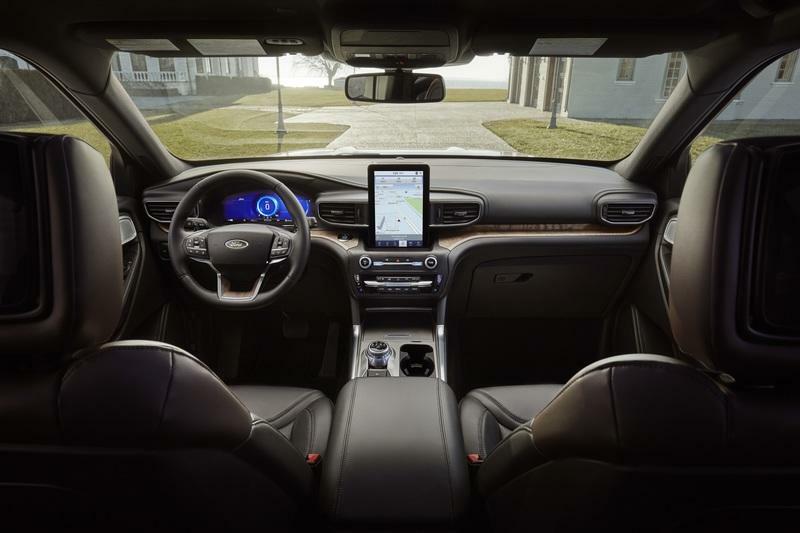 The vents have sharp edges, Ford integrated a rotary transmission dial in the central console instead of the gear lever, and you can get a digital instrument cluster behind the steering wheel. 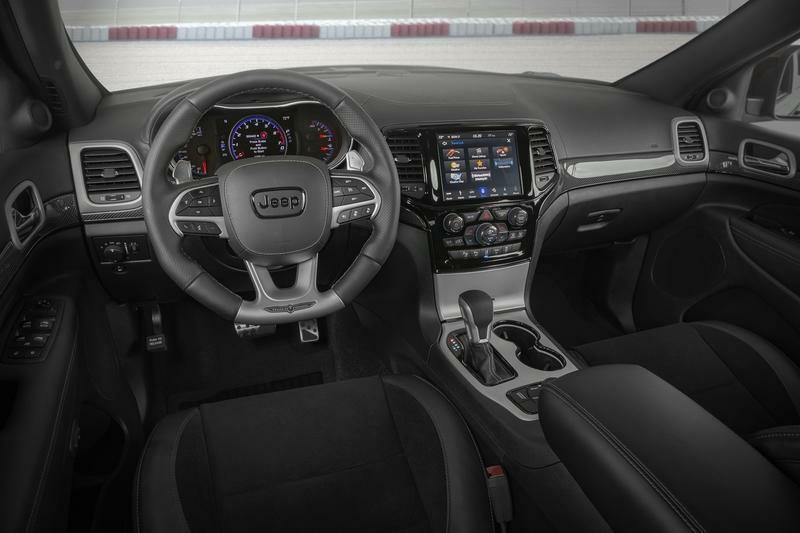 While definitely luxurious, the cabin of the Jeep Grand Cherokee lacks some of the gist and buzz of the new age. Not the technology, though. 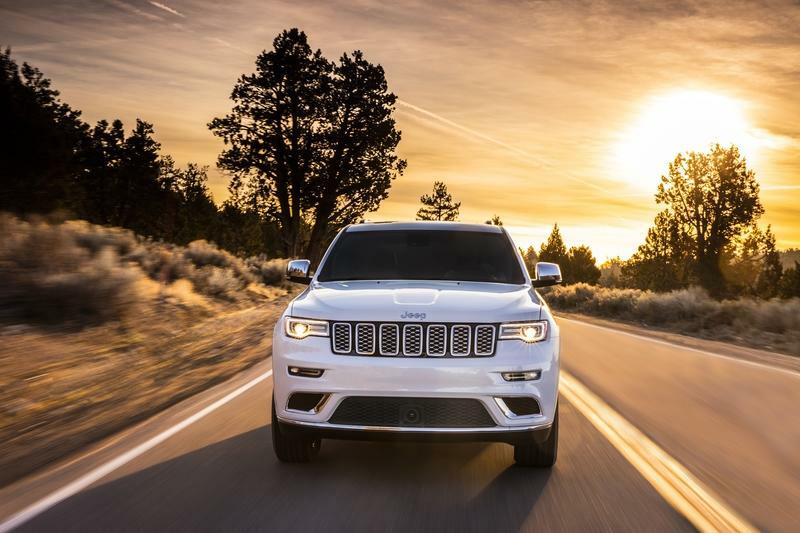 FCA granted the Grand Cherokee with standard Apple CarPlay and Android Auto and the latest version of Uconnect’s 8.4-inch touchscreen. Add to this a nine-speaker audio system with active noise cancellation and Blind-spot Monitoring with Rear Cross Path Detection, and you have yourself a modern vehicle. 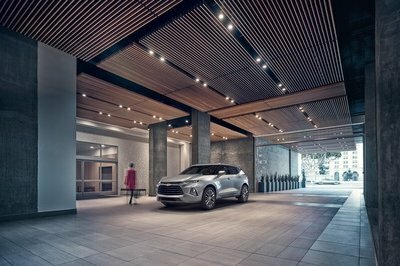 The same story goes for the 2020 Ford Explorer. Even in its entry-level form, the Explorer comes with an 8-inch digital touch screen with SYNC 3, FordPass Connect Wi-Fi (for up to 10 devices,) and safety gear such as the Blind Spot Information System with cross-traffic alert, Lane-Keeping System, Pre-Collision Assist with automatic emergency braking, Pedestrian Detection, forward collision warning, and dynamic brake support. Really generous. 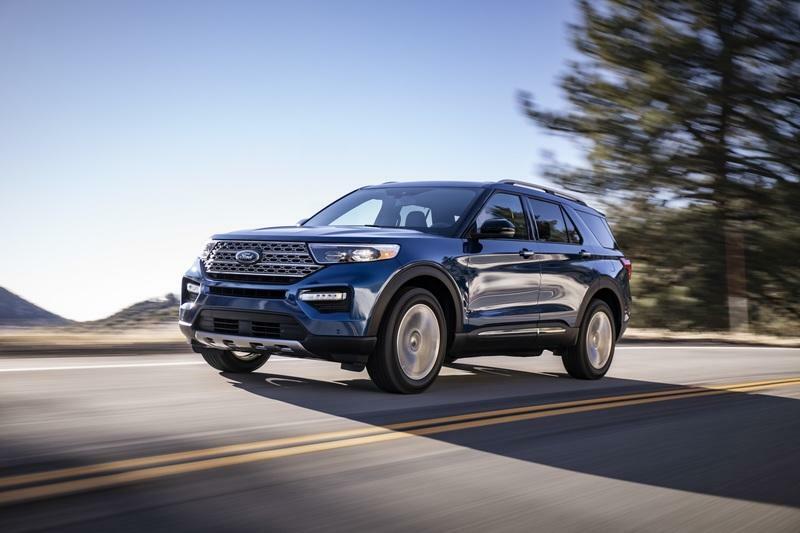 What makes the 2020 Ford Explorer cabin completely different compared with that of basically any other three-row SUV on the market today is the unremitting obsession with convenience. 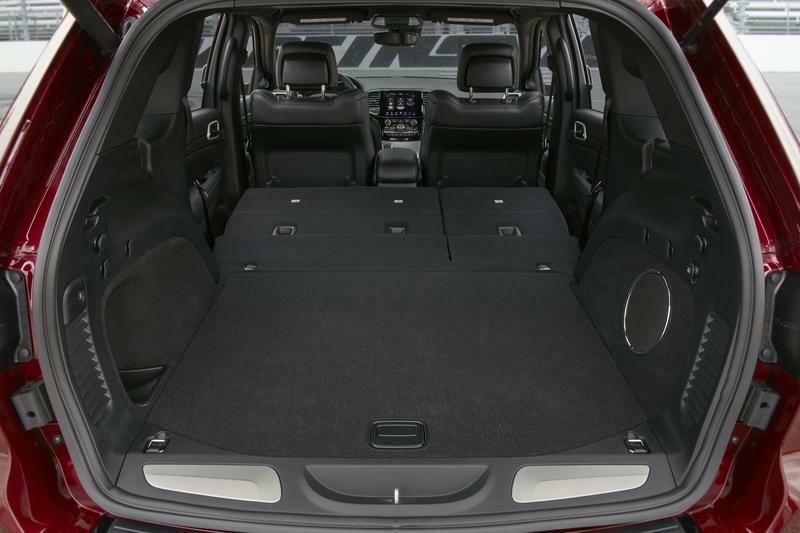 Ford designers were resolved to create easy third-row access. Possibly the easiest in the business. Because of that, the engineers crafted “second-row seats with a new mechanism that allows for easy entrance and exit to the third row using just one hand.” Even kids will be able to do it. Other family-friendly features include ISOFIX anchor points on the second and third row as well as windows with retractable sunshades. 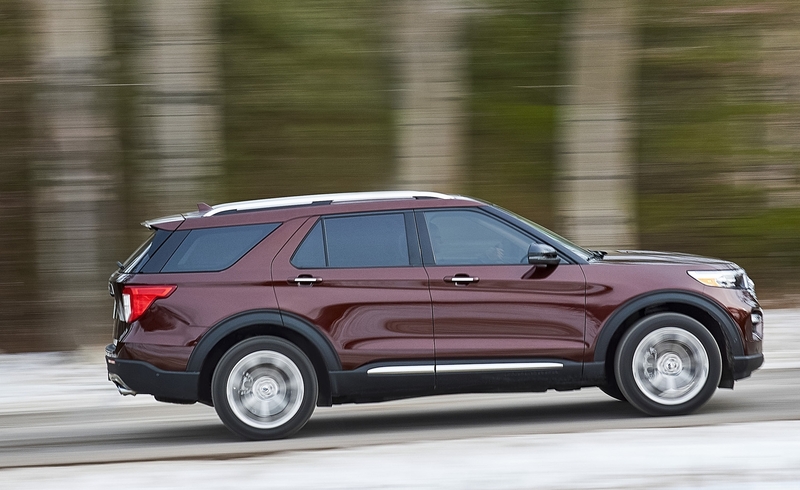 Every single feature of the new Explorer was focused on improving convenience and practicality. 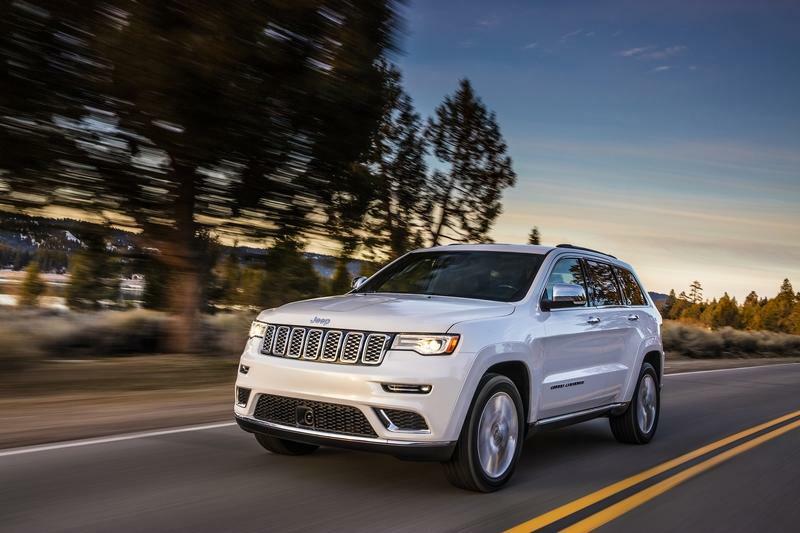 While the Grand Cherokee is definitely a fine SUV to be in, the Explorer is on a whole other level when it comes to family-friendly features. Shoulder room, rear 61.9 in 58 in 3.9 in. This is an obvious clash of the generations. 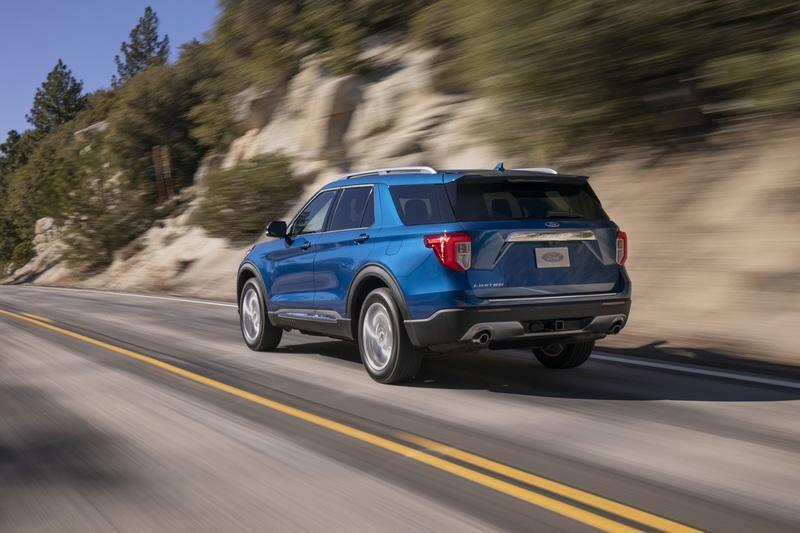 While the Jeep Grand Cherokee still very much leans toward the simpler N/A side of things, the new 2020 Ford Explorer does cannot be had with a naturally aspirated engine. 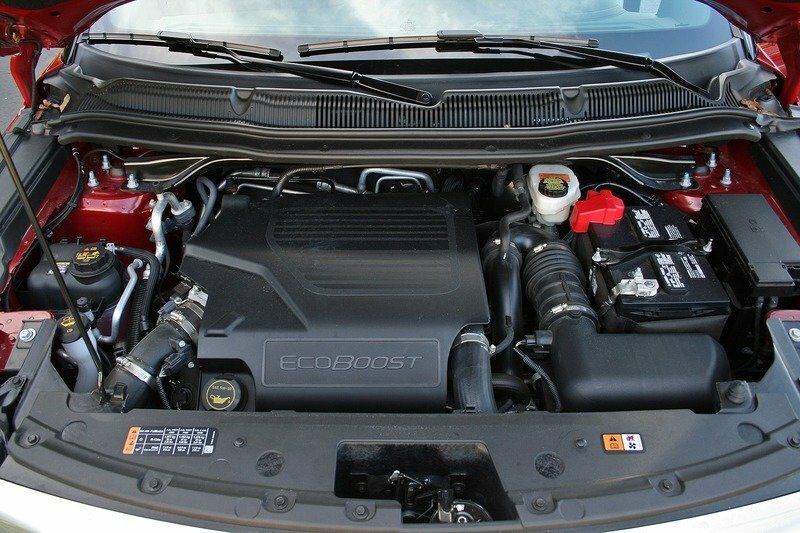 For its entry-level forays, Ford installed the 2.3-liter EcoBoost in the Explorer. 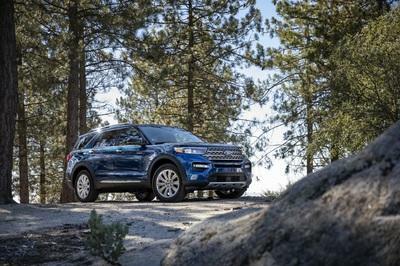 With 300 horsepower and 310 pound-feet of torque, it is most certainly powerful enough to motivate the Explorer to all family-friendly adventures. It will do so with a 10-speed automatic and rear wheel drive (AWD is optional). 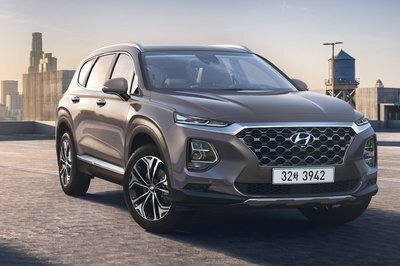 The other available option is the Ford Explorer hybrid that links the 3.3-liter N/A engine with an electric motor for 318 horsepower. 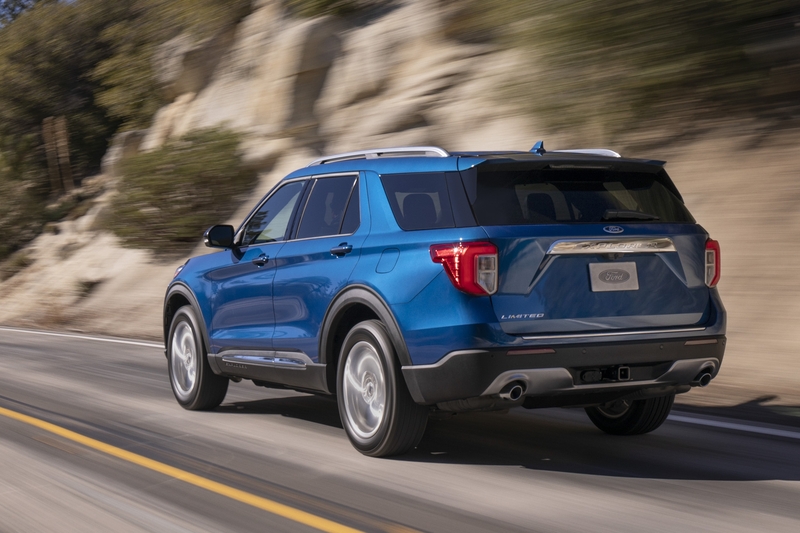 On the far end, however, sits the 3.0-liter, EcoBoost, V-6 with 365 horsepower and 380 pound-feet of torque in the Explorer Limited and 400 horsepower and 415 pound-feet of torque for the Explorer ST. Explorer SUVs with the 3.0-liter EcoBoost come with an intelligent AWD as standard. 10-speed transmission is standard with all models. Obviously, you cannot see any naturally aspirated gear (save for the hybrid but that one has electric motor support). 6.2-liter, supercharged, V-8, 707 horsepower, 645 pound-feet of torque (I am still kinda baffled while writing down the numbers for the insane Grand Cherokee Trackhawk. Astounding! And now the big thing! How much can the 2020 Ford Explorer and the 2019 Jeep Grand Cherokee tow? The 2020 Ford Explorer and the 2019 Jeep Grand Cherokee are two completely different beasts. 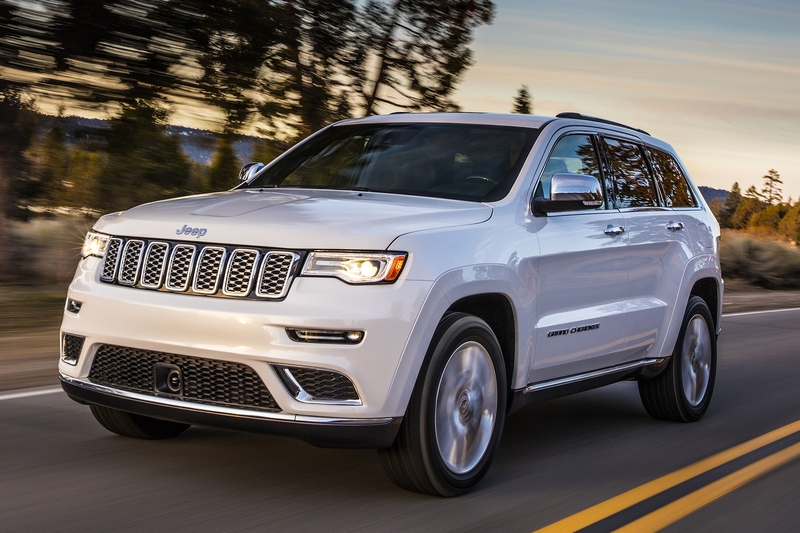 The Grand Cherokee is clearly an old-school SUV with somewhat inviting, athletic proportions, N/A engines (mostly,) and clearly better off-road proves. The new Explorer, however, takes the family-friendly aura and dials it up to eleven. All that while clearly being inviting and rather cool looking. Choosing between the two is almost impossible as the Grand Cherokee and the Explorer represent two different philosophies geared towards a slightly different consumer base. After all, the upcoming Grand Cherokee seven-seater will be a clear competitor to the Explorer when it comes out.